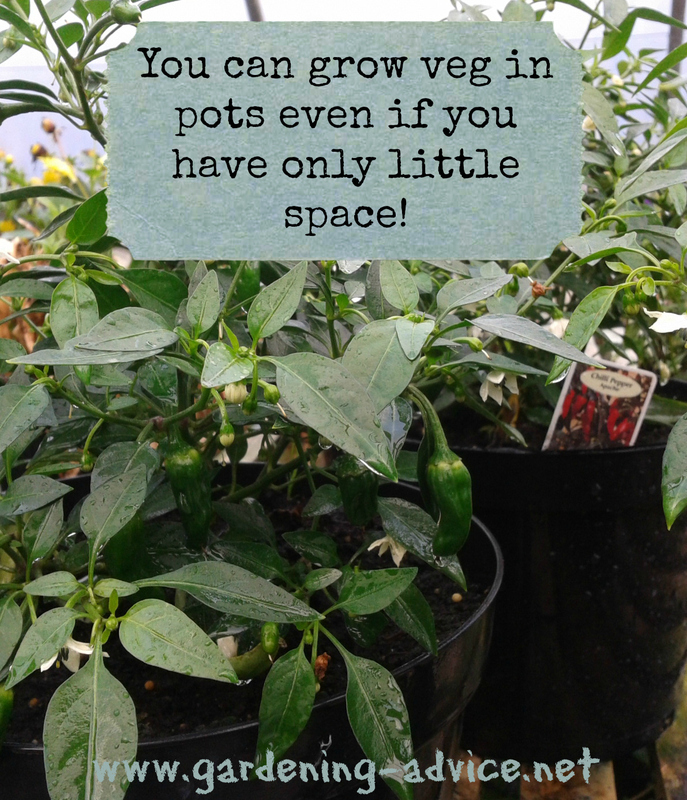 Growing Vegetables In Containers can be done anywhere! Turn your balcony or patio into a food oasis and grow your own healthy and fresh food! It is so easy to just be able to walk out the door and pick those juicy fresh greens, herbs and veggies. Growing your own food puts you in control over what you eat. No more bland vegetables that taste like water and are sprayed with a chemical cocktail. Turn your backyard, patio, balcony or rooftop into a food producing space for you and your family! A sunny corner in a backyard could be used for growing vegetables in pots. Even a window-box on a window ledge can produce some lettuce.You don't have to invest in a load of expensive garden pots to do this. Anything that can hold a decent amount of soil can be upcycled into a container garden. 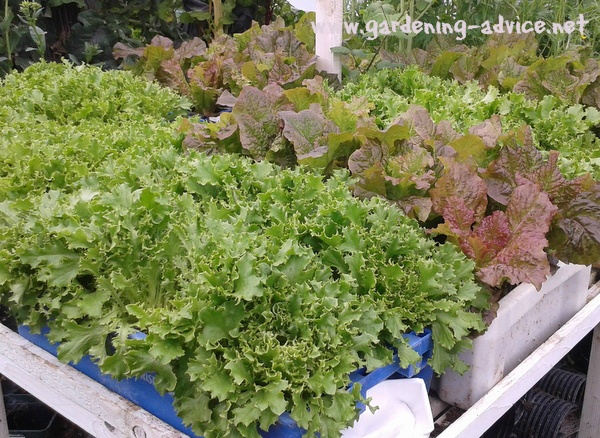 Our lettuce grows really well in fish boxes we picked up on the beach. You can use all sorts of containers that you come across. Important is that they are big enough to hold a sufficient amount of compost and that they have drainage holes. You can recycle old fish boxes, buckets, chimney pots or sinks for this purpose. Of course you can use the more decorative terracotta pots or flower pots as well. You could also make up your own containers out of timber. This is up to you. Just one thing to keep in mind is that black containers heat up in the sun and the plant roots don't like that too much. You can either paint them with a lighter color or shade them somehow. Most vegetables like a good amount of sunlight so choosing a sunny corner is important. They should get the sun for at least half a day. The place should also be easy for you to get to because will have to water and feed (and of course harvest!) regularly. So don't move it too far away from the house. You could also be growing vegetables in containers indoors. If you have a sunny porch or conservatory that's ideal. If you don't have the perfect light conditions you could help this with some indoor plant lights. It is very important to choose a good quality potting soil. 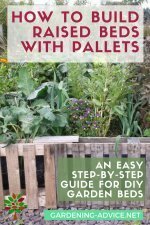 It is the foundation of your container vegetable garden and for your success so don't skimp on it! Get the best one available. Don't use garden soil in your pots. 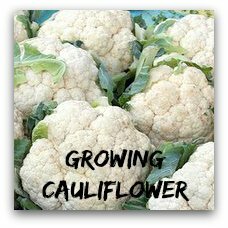 It gets too hard and compacted in the pots and you don't really know what nutrients are in it. 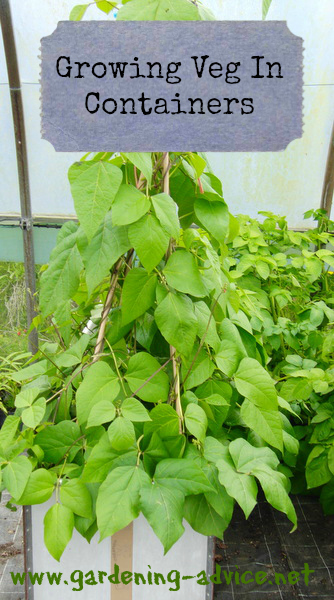 It also carries lots of seeds from weeds and can also harbor diseases. So don't waste your time on it! You can grow most vegetables in containers. Often it is better though to choose compact or dwarf varieties. With potatoes for example it is better to grow the early varieties with the smaller tubers in pots. 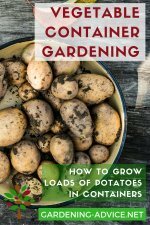 Check out here how to grow potatoes in containers. 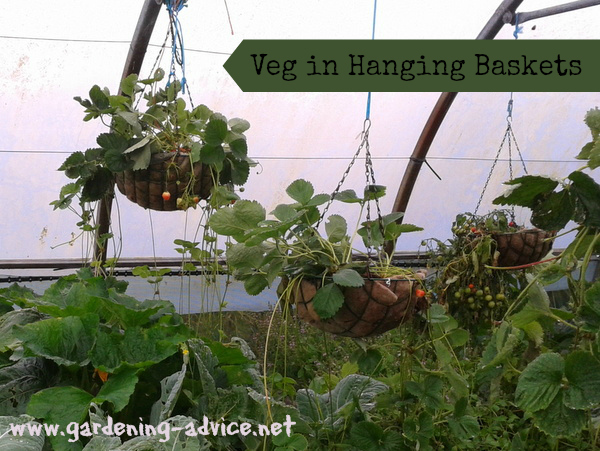 Strawberries and trailing tomatoes are great crops for hanging baskets. Tomatoes are great for growing in pots. 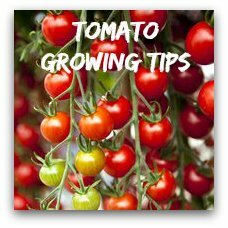 There are loads of different varieties of tomatoes available: You can grow trailing tomatoes upside down in hanging baskets. I prefer dwarf varieties like 'Totem' for growing in pots. They stay very compact and tidy and produce a great amount of fruit. Here are more tips for growing tomatoes in pots. Courgettes, cucumbers, peppers, chilli peppers, peas, beans or radishes all grow easily in containers. For the likes of lettuces, rocket, spinach or small radishes a window-box is sufficient for growing them. Most herbs can also be grown in pots. 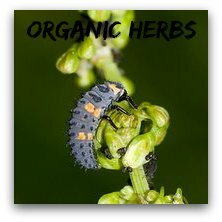 You can either start your plants off from seed or buy some vegetable plants online or from your garden center. If you only want to grow three tomato plants you might be better off buying some small plants. Often though you might not be able to get the varieties you like to grow. 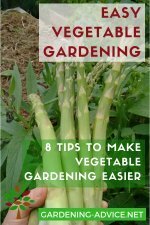 It also depends on the types of vegetables you are growing in your container vegetable garden. Vegetables like spinach, radishes or carrots can usually not be bought as small plants. 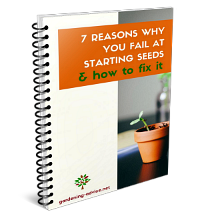 You have to start them off from seed. Watering is critical when growing vegetables in containers! The need for water will depend on the weather (temperature and wind), plant size and pot size. Therefore it is important that you check your pots regularly. If you can't water regularly because you are away a lot or going on holidays you should consider a watering system. A drip system with a suitable controller might save the live of your vegetable plants and will reduce the amount of work you have to do. Reduce The Need For Frequent Watering! Another much simpler alternative to a watering system are terracotta plant waterers. You just combine these with a bottle of water and stick it into your containers. The water will slowly seep out of the terracotta spike and keeps the soil moist. You probably couldn't go away for weeks with this system ...but it will certainly help to bridge a few days or reduce the time needed for watering. They are also helpful if you tend to forget to water your plants. You Have To Use Fertilizer When Growing Vegetables In Containers! We had a great crop of chillies from just a few plants! You will only produce a good cop of vegetables if your plants receive all the nutrients they need. Yellow leaves and stunted looking plants are a sign of insufficient nutrient supply. I prefer to use organic fertilizers, compost and liquid seaweed for feeding container plants. There is a big range of different fertilizers available. Always read the label of each product and use accordingly. Overuse can damage your plants by burning the roots. Liquid fertilizers have to be used regularly, usually once a week. Don't do it when the pots are very dry. Water the plants first. 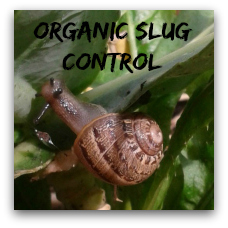 The lazy gardener can use slow-release fertilizers like Osmocote although this is not organic. You mix the granules into the potting compost and they slowly release the nutrients over a period of time. The only downside of them is that they are not cheap and of course not organic. They save a lot of work though and the results are great. 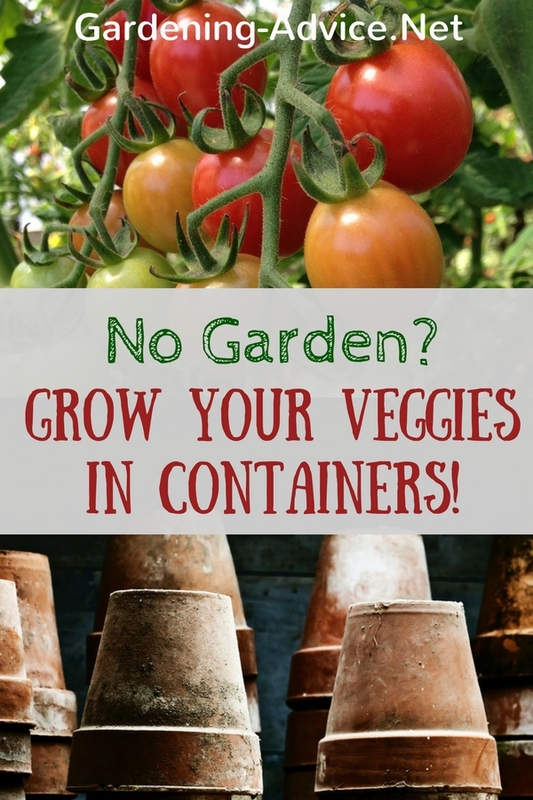 Now you know how to grow vegetables in containers! It is not difficult and a lot of fun. Get to it!